Creating a "Beer from Here"
Regulator Brewing, a nanobrewery planning to open in Hillsborough, North Carolina, sources hops, malt and other ingredients from local growers. There’s a 50-pound bag of two-row pale malt sitting on the concrete floor of Regulator Brewing’s brewery space. A small amount of text on its front states its contents, but it also may read like something of a map and business plan in one. Grown, malted and packaged about 30 miles to the south of the Hillsborough, NC, brewery, the malt doesn’t just represent the promise of fermentable sugars and the beginning of a hazelnut brown ale, but also the belief that a beer can—and should—be about a place. Brewed as a test batch for its small one-barrel system, the ale is Regulator’s attempt to produce a “beer from here” by using no less than 75 percent local ingredients in each batch, whether that’s grain, hops, wheat, vegetables or more. To source recipes, Regulator members visit farmers within an hour’s drive and frequent the Eno River Farmers Market in downtown Hillsborough. 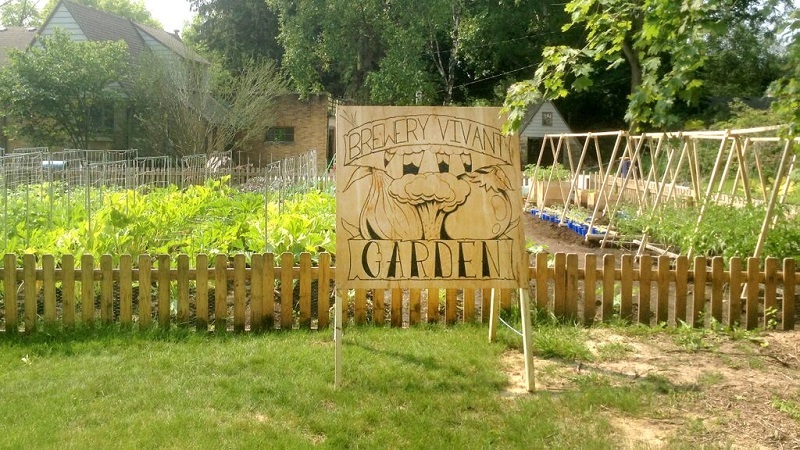 Much like the farm-to-table movement that has spurred interest in locally produced foods and an explosion in farmers markets across the country, the beer industry is also seeing a growing connection between breweries and local agriculture. As the number of breweries has skyrocketed in recent years, so, too, have the farmland, crops and people that support it. Farm supporting breweries include, to name a few, Fullsteam Brewery in North Carolina, Peak Organic in Maine, Lakefront Brewery in Wisconsin, Good Nature Brewing in New York, and Black Hog Brewing in Connecticut. In its last report on the economic impact of the beer industry on agriculture, a 2012 survey by the Beer Institute trade association showed breweries helped create 55,900 jobs in agriculture nationwide and added $5.5 billion in economic output that year. Andrea Stanley, owner and maltster with Hadley, MA-based Valley Malt, noted those numbers have great potential to grow. In North Carolina, Regulator’s local source of grain, Farm Boy Farms of Pittsboro, NC, has seen its acreage of barley grow more than six times its original planting space, from 7 acres in 2010 to 44 in 2014. Over that time span, owner Dan Gridley has moved from malting batches of 50 pounds up to 1,000. He’s now done business with more than 20 in-state breweries, and the number of Gridley’s hop plants went from 20 to 300 in the last four years. According to the Hop Growers of America, three states—Idaho, Washington and Oregon—accounted for 31,289 acres of hops strung for harvest in 2010. In its mid-year 2014 report, 39,272 acres were strung across the country, with 14 more states joining the mix. That included plantings as small as 8 acres in Indiana, up to 300 in Michigan. That’s helped push Tennis’ business, which started with just 1 acre of his own hops in 2007 and is now up to 15 of his own with an additional 40 from farmers across the state. 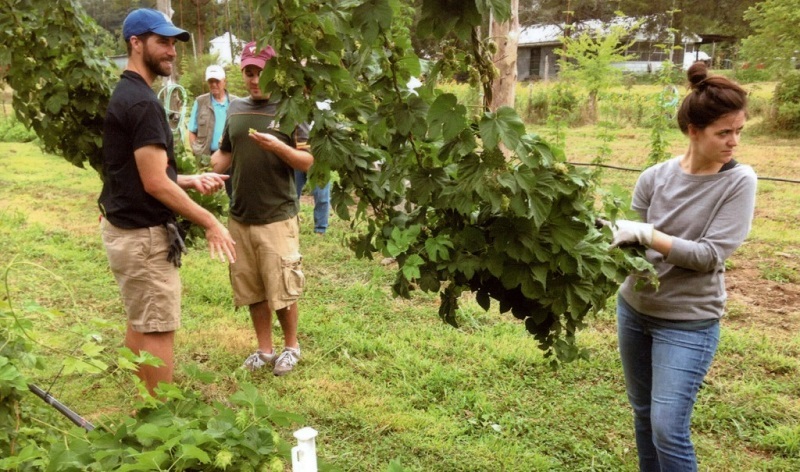 He expects Hop Alliance membership to potentially double in 2015 to about 25 farmers. 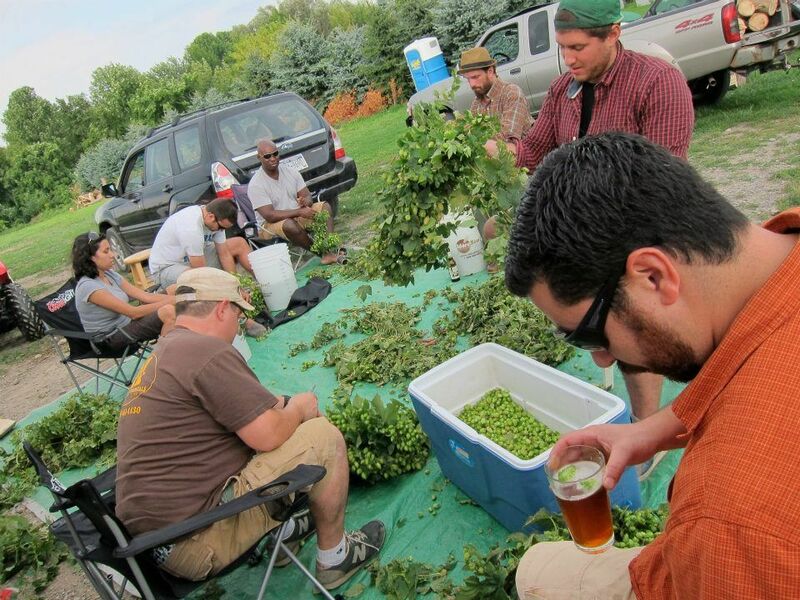 With changing tastes and expectations for what goes into beer, Tennis has worked to find niche markets for his hops, which includes experimenting with growing Sorachi Ace, Tardif de Bourgogne and other foreign hops in Michigan’s climate. With increased interest in organic goods by both consumers and breweries, Tennis has also focused on selling certified organic hops to Michigan businesses like Short’s Brewing Co., Grand Rapids Brewing and Brewery Vivant, which buy organic Chinook and Summit hops from the Michigan Hop Alliance. Vivant also homes in on other ingredients from local farms, including honey, maple syrup and fruit juices. Brewery Vivant aims to source 25 percent of its ingredients from within 250 miles of its brewery in Grand Rapids, Michigan. The growing sentiment of “local” and its importance to consumers has readily gained steam in industries outside just food and handcrafted goods, said Sara Day Evans, founder and executive director of Accelerating Appalachia, a nature-based business accelerator geared toward helping growing businesses from around the globe with a focus on the East Coast’s Appalachian region. 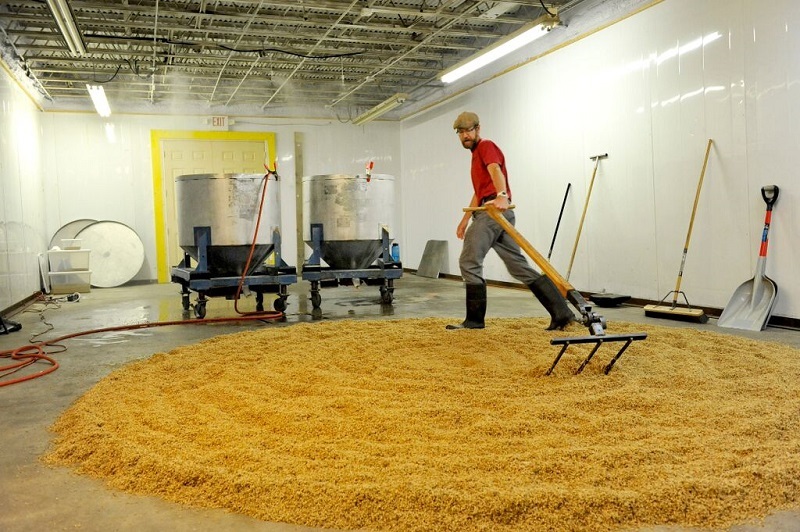 One of the companies supported in its 2013-2014 business development program was Riverbend Malt House in Asheville, NC, which Evans noted is following the trend of offering locally sourced products for the beer industry. Riverbend Malt House in Asheville, North Carolina. Which is exactly what the founders of Regulator Brewing hope they see when they begin selling their beer, including a seasonal pepper basil pale ale that features 95 percent locally grown ingredients.